I have had a lot of people ask about Jasper, http://tinyurl.com/p34thhb, prior and after purchasing my book. So I have come up with a small bio that I hand out to them concerning his royal greenness. Jasper T. Williams was adopted in 1999 at the age of five. His first owner, an army soldier, either did not properly research how to take care of a parrot or her time in the service kept her from doing so. Jasper was held in a cage the size meant for cockatiels for the first five years of his life. When he came home it took him 3-4 months before he would even come out. We made a promise to him that he would never been locked up in his new home. He would have the freedom to come and go as he please in reference to his cage. 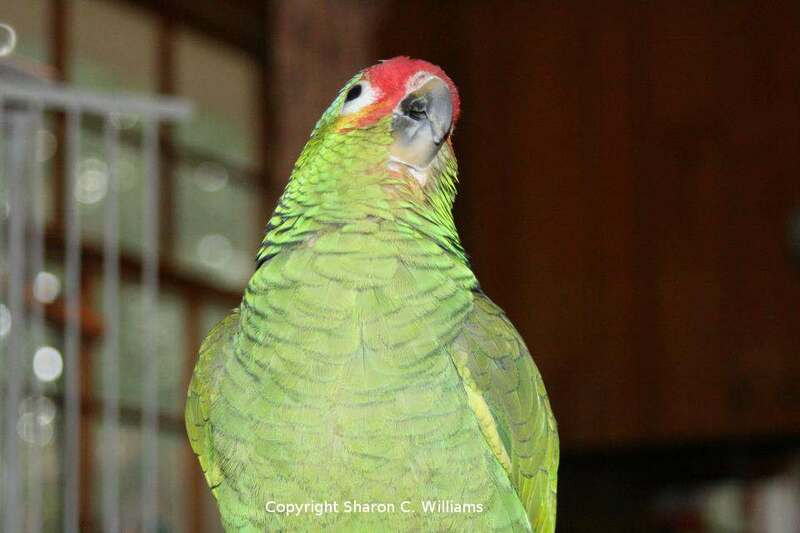 Jasper is a yellow cheek Amazon, or the more popular term a Red Lored. They are native to the tropical regions of the Americas. They can live up to 80 years old. 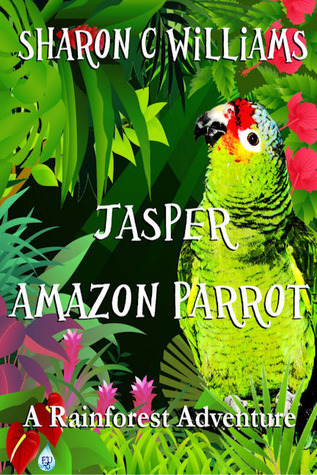 The song that is written in my first book, “Jasper, Amazon Parrot: A Rainforest Adventure” is one I wrote for Jasper. As of today he has four songs written especially for him by me. His favorite foods are any kind of potato. This can include the French fries, hash browns, mash or broiled. He loves spaghetti and if it is a green vegetable he will love it forever. If it is a fruit he will try it. His favorite is watermelon. His favorite shows are Spongebob,Tom and Jerry and Scooby Doo. He has the good sense to not like Scrappy Do. His favorite channels are Discovery, Nat Geo and Cartoon Network. He loves when his dad plays the harmonica and loves to sing with us and at us. He loves it when my mom speaks French to him. He hates squirrels and small bugs. Here is the link to our channel on Youtube. One of the videos list his song and how it should be sung.